Ben Raines -- soldier, survival expert, and freedom fighter baptized under the fire of a new rebellion -- reveals, in his own words, the underlying principles of the Tri-States doctrine that has made him one of the most controversial figures in the country today. 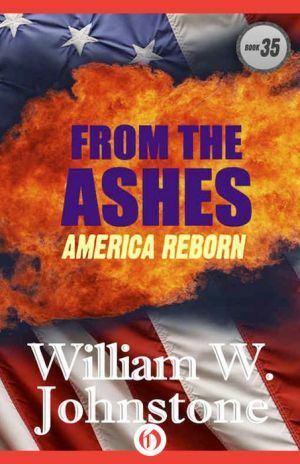 He is the hero of the "Ashes" books that have caused an outpouring of allegiance from readers and Tri-States members committed to their explosive principles. And he is a visionary with the toughness, skill, and courage to give America back to the people. Now, for the first time since the inception of his Tri-States network, bestselling author William W. Johnstone outlines the manifesto of the new nation that Ben Raines has created out of the ashes of the old. This is Ben Raines on the IRA, the IRS, racism, the justice system, welfare, the military, politicians, prison reform, capital punishment, and the government. This is Ben Raines on America.